Start off your visit on the 11th (Mon): see some colorful creatures with a scuba or snorkeling tour, then kick back and relax at Crashboat Beach, and then kick back and relax at Playa Rompe Olas. Here are some ideas for day two: enjoy the sand and surf at Domes Beach, stroll through Sandy Beach, and then stop by Tres Puertas Art Gallery & Blue Mermaid Gift Shop. To find where to stay, other places to visit, more things to do, and other tourist information, you can read our Rincon trip planner. Norfolk, USA to Rincon is an approximately 14-hour flight. The time zone difference when traveling from Norfolk to Rincon is 1 hour. Prepare for much warmer weather when traveling from Norfolk in February: high temperatures in Rincon hover around 85°F and lows are around 76°F. Cap off your sightseeing on the 12th (Tue) early enough to travel to Culebra. 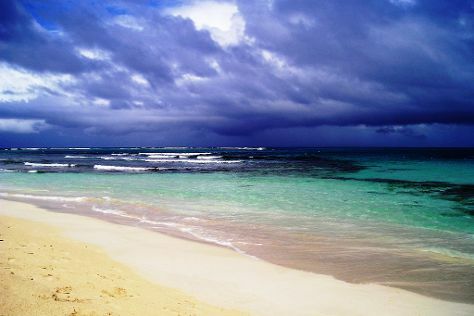 Attractions like Carlos Rosario Beach and Flamenco Beach make great kid-friendly stops. Your itinerary includes some good beach time at Zoni Beach and Tamarindo Beach. There's still lots to do: head off the coast to Culebrita Island and stop by Zinkowski Art Studio. For maps, other places to visit, ratings, and tourist information, read our Culebra trip planning app . Do a combination of car and flight from Rincon to Culebra in 2.5 hours. Alternatively, you can fly; or do a combination of car, shuttle, and flight. In February in Culebra, expect temperatures between 84°F during the day and 73°F at night. Wrap up your sightseeing on the 15th (Fri) early enough to travel to Isla de Vieques. Kick off your visit on the 16th (Sat): find your balance on the water with some of the best stand-up paddleboarding in the area and then enjoy the sand and surf at Media Luna Beach. Keep things going the next day: kick back and relax at Secret Beach and then kick back and relax at Caracas Beach. To see maps, ratings, more things to do, and tourist information, read our Isla de Vieques trip planning site . You can do a combination of flight and car from Culebra to Isla de Vieques in 2.5 hours. Alternatively, you can ride a ferry. February in Isla de Vieques sees daily highs of 83°F and lows of 73°F at night. Finish your sightseeing early on the 17th (Sun) to allow enough time to travel back home.